Centre Foundation has awarded more than $57,000 to 29 local organizations from its Field of Interest Funds, supporting communities and projects throughout Centre County. The funds are awarded annually through an application process to support various causes or geographic areas in the county, as established by the original donors. 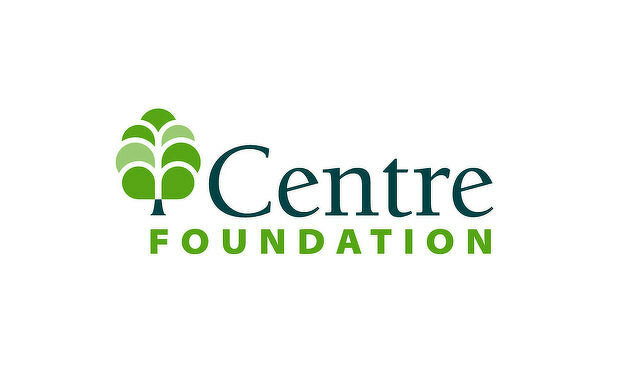 Centre Foundation awards the grants from 14 different funds. This awards will fund programs in education, health and social services, animal welfare, youth development and the performing arts. - The Carolyn A. Petrus Memorial Seeing Eye Dog Fund, which provides funding for organizations that raise, train, and match seeing-eye dogs to people who need them, will grant $15,334 to The Seeing Eye. This grant will provide instruction for Central Pennsylvania residents who are matched with seeing-eye dogs. Penns Valley Youth Center will receive $8,019 to provide on-site mental health counseling for students in grades 6-12. AIDS Resource Alliance will receive $1,500 to provide mental health services to Centre County residents living with HIV. Hearing Loss Association of America, Centre County Chapter will receive $5,032 to provide captioning services and supplies for meetings and Hearing Day programs for school-age children. SCASD Education Foundation will receive $2,186 to provide Interact Real Time Captioning for hearing-impaired students. Strawberry Fields will receive $1,905 to purchase equipment and supplies to increase communication of hearing-impaired individuals. Essence 2 will receive $2,000 to support their Black History Month Concert. Penn’s Woods Music Festival will receive $1,554.50 to support the Penns Woods Music for Kids Student Chamber Invitational, which provides a mentored music experience. Pennsylvania Chamber Orchestra will receive $1,554.50 to provide educational mini-concerts for children in grades K-3 as part of the Music Mentorship Program. Central Pennsylvania Music Teachers Association will receive $1,000 to support the Triolo Music Competition for talented middle and high school musicians in Centre County. Nittany Valley Symphony will receive $1,000 to provide family concert tickets to elementary students in Bellefonte and Bald Eagle school districts. State College Choral Society will receive $600 to develop listeners’ study guides for middle and high school students attending a live music performance. Mid-State Literacy Council will receive $3,000 to develop men’s health instructional lessons for low-literate residents in Centre County. Centre County Chapter of the Pennsylvania Prison Society will receive $669 to provide training for incarcerated adults to improve parenting skills and family relations. Penns Valley EMS will receive $1,100 to increase safety and visibility of EMS responders through the purchase of reflective vests, back-up cameras, and flashlights. Central Pennsylvania Community Action will receive $1,004 to provide everyday hygiene products to individuals using the CPCA Aaronsburg Food Pantry. Huntingdon County Arts Council will receive $750 to provide an educational folk music program in all four Huntingdon County school districts. Mountaintop Swimming Pool will receive $709 to provide transportation for children and to pay lifeguards. Additional funding will be provided by the Centre County Medical Society Fund for a total of $1,282. State Theatre will receive $500 to support the Read It Watch It free movie series for children. Ridgelines Language Arts will receive $1,048 for their “Poetry for the Future” poetry workshop for LGBTQA youth. Park Forest Preschool will receive $598 to provide two educational community fieldtrips. - The Philipsburg Area Fund will grant $1,500 to Habitat for Humanity of Greater Centre County to revitalize Centre Street in Philipsburg through home-improvement projects in conjunction with Rock the Block. Central Pennsylvania July 4th will receive $689.50 to support Central PA 4th Fest. Constitution Day Centre Hall will receive $689.50 to support their Constitution Day celebration event. Mountaintop Swimming Pool will receive $573 for its aforementioned program. Centre Volunteers in Medicine will receive $500 to provide dental care for low-income children. - The Louis E. and Patricia H. Silvi Fund, which supports early childhood education programs that improve the health, care, and education of young children, will grant $1,017 to Easter Seals Western and Central Pennsylvania to purchase accessible outdoor equipment for students with disabilities. Centre County PAWS will receive $456.50 to fund their Spay/Neuter Assistance Program (SNAP), which provides low-cost spay/neuter vouchers to those in need in Centre County. Pets Come First will receive $456.50 to cover the cost of cat spray/neuter surgeries in support of local Trap, Neuter, Release programs. - The Andrew and Madaline Rishel Family Fund, which supports Christian churches in Penns Valley, will grant $454 to Calvary Penns Valley to offer Financial Peace University scholarships to four Penns Valley families. Nine iPads seized during an arrest by Pennsylvania State Police earlier this year have been donated to help local youth. 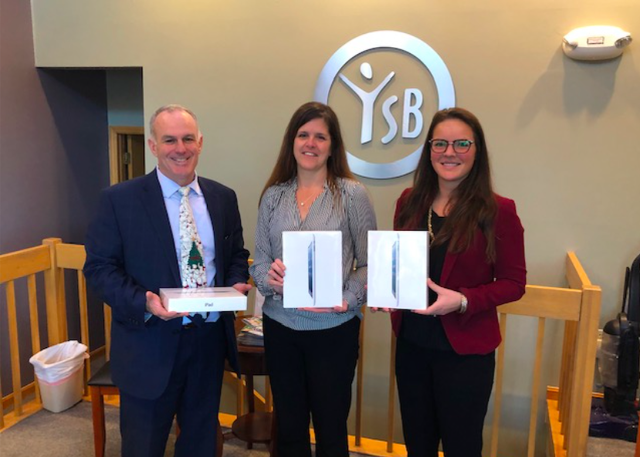 The iPads were forfeited during a stop-and-arrest on May 3 and turned over to the Centre County District Attorney's Office, which recently donated them to the Centre County Youth Service Bureau.